It is time for pharmacists to begin advancing their roles in public health and play a more integral part in public health initiatives. Within developed nations, the profession has demonstrated its value in advancing preventive care; however, the same cannot be said for pharmacists worldwide. Emphasis on training public health pharmacists should also be on developing nations, where the need for preventive care is highly unmet. To ensure all graduating pharmacists are prepared to engage in public health activities, education in this field must be provided during their main years of pharmacy school. In conclusion, public health education should be incorporated into pharmacy curriculae within developing nations so all pharmacy graduates are prepared to engage in public health activities. No funding was provided for the completion of this commentary. All authors whose names are listed certify that they have no affiliations with or involvement in any organization or entity with any financial interest (such as honoraria; educational grants; participation in speakers’ bureaus; membership, employment, consultancies, stock ownership, or other equity interest; and expert testimony or patent-licensing arrangements), or non-financial interest (such as personal or professional relationships, affiliations, knowledge or beliefs) in the subject matter or materials discussed in this manuscript. American Public Health Association. The role of the pharmacist in public health. http://www.apha.org/policies-and-advocacy/public-health-policy-statements/policy-database/2014/07/07/13/05/the-role-of-the-pharmacist-in-public-health. Accessed 12 Feb 2016.
International Pharmaceutical Federation. 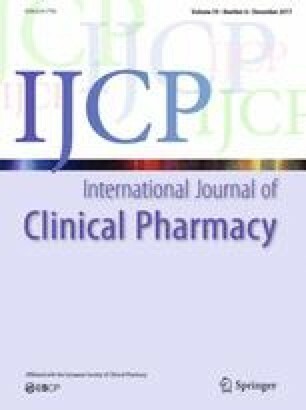 FIP statement of policy, the role of the pharmacist in the prevention and treatment of chronic disease. https://www.fip.org/www/uploads/database_file.php?id=274&table_id=. Accessed 10 Dec 2015. United Nations. Sustainable development goals. https://sustainabledevelopment.un.org/sdgs. Accessed 12 Feb 2016. Centers for Disease Control and Prevention. CDC public health grand rounds: how pharmacists can improve our nation’s health. http://www.cdc.gov/cdcgrandrounds/pdf/gr-pharmacists-10-21-2014.pdf. Accessed 12 Feb 2016. World Health Organization. Global status report on noncommunicable diseases. http://apps.who.int/iris/bitstream/10665/148114/1/9789241564854_eng.pdf. Published 2014. Accessed 21 Feb 2017. Private Healthcare in Developing Countries. Source of healthcare—Sub-Saharan Africa. http://ps4h.org/country_data_files/SSAfrica.pdf. Accessed 10 Dec 2015. World Health Organization. Teaching of Public Health in Medical School http://www.searo.who.int/entity/primary_health_care/documents/pch_sea_nur_465.pdf. Accessed 11 Mar 2016.